There are many different security options available to make sure that your apartment is safe whether you are at home or not. 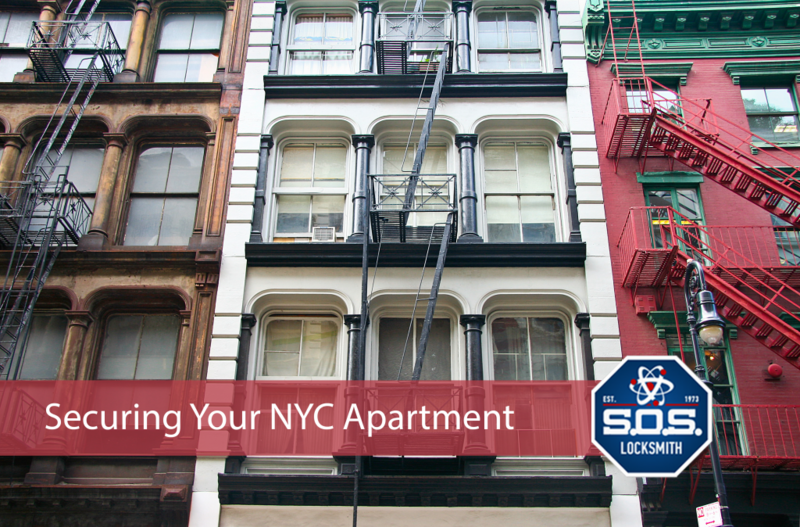 SOS LOCKSMITH has listed below ways on securing your NYC apartment. You can choose to have an alarm system, have upgraded door and window locks, or you can even buy a dog that will bark loudly when someone is trying to enter your property. There are many different security locks available on the market by Medeco Locks and Mul-t-Lock. A barrel bolt is another good lock choice. Combination locks and keyless entry locks are also smart choices. Use high quality Grade-1 or Grade-2 locks on exterior doors to resist twisting, prying, and lock-picking attempts. A quality deadbolt lock will have a beveled casing to inhibit the use of channel-lock pliers used to shear off lock cylinder pins. A quality door knob-in-lock set will have a ‘dead latch’ mechanism to prevent slipping the lock with a shim or credit card. A good alarm system will monitor all of the entry points into your apartment. Your door should have an alarm on it as well as all of the windows in your unit. You may also want to have security cameras installed inside of your apartment. There is a new technology available that will allow you to view your home while you are not there through your smartphone or computer. You can check in on your apartment while you are at work or even while you are on vacation if you have a high tech security system. Security lighting is a basic security feature that can be very helpful. Many apartments offer exterior security lighting in parking lots and around the entry points to the building. Bright lighting can deter crime and help people feel safer. Electronic card access is a popular choice. When people use electronic cards, they can have confidence that no one else has a key to their apartment since key cards can be changed with ease. New residents receive a new card that wipes out the old tenants’ access. Cards can be changed very quickly and with ease. Key cards can also be given for other parts of an apartment complex. They can give people access to certain parts of an apartment like common areas or exercise rooms. Security gates can be a nice security option. Gates can help apartment owners feel comfortable. They allow only people that live there or have permission to be there to be on the property. 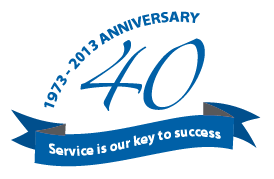 If you want to live in a secure NYC apartment, find a complex that has good locks, lighting, and that is in a good location or get security consultation from NYC Locksmith You can enjoy feeling comfortable in your apartment at all hours. You want to stay in a building that makes you feel secure.